This luxuriously appointed 786 sq. 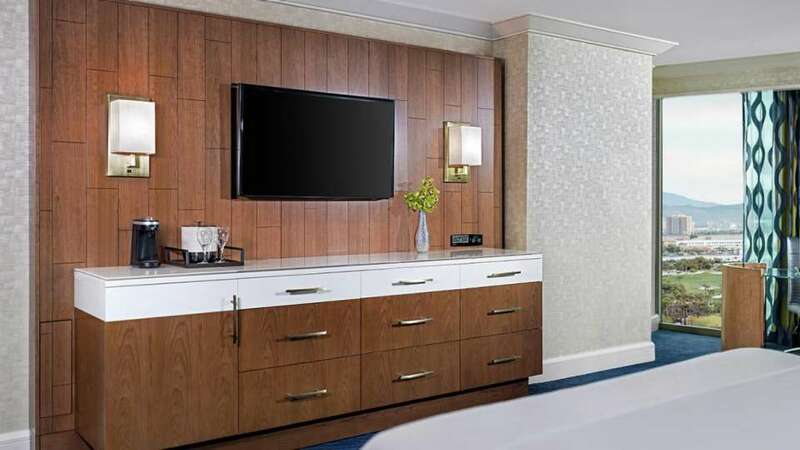 ft. Executive King Suite features natural tones of aquatic blues accented with lively hints of green for a stylish play on serenity and energy combined. One deluxe King Bed wrapped in smooth linen centers this naturally inviting space. 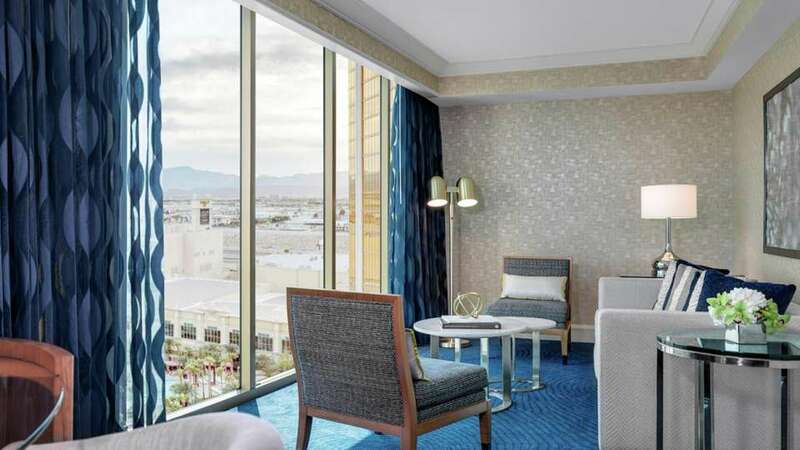 Ample work space and an extended area with seating for four allow business and pleasure to live in harmony in this Las Vegas Suite. 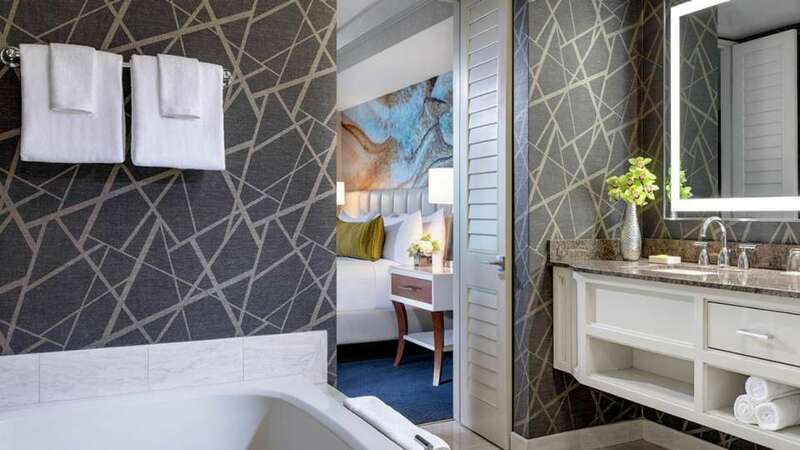 This room is perfectly designed for well-earned relaxation. 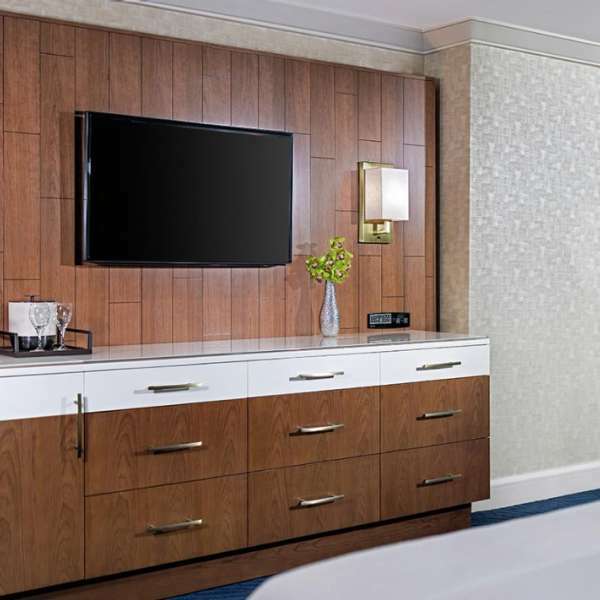 Perfectly designed and contemporary in style, the newly remodeled Executive King Suite features open concept seating. You’ll enjoy the comfort of an extended living area and a soaking tub for sublime relaxation. 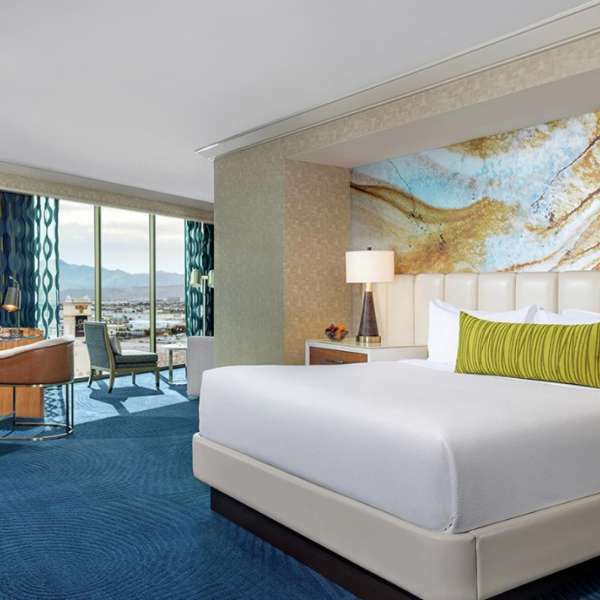 You’ll enjoy the comfort of an extended living area in our Executive King Suite. 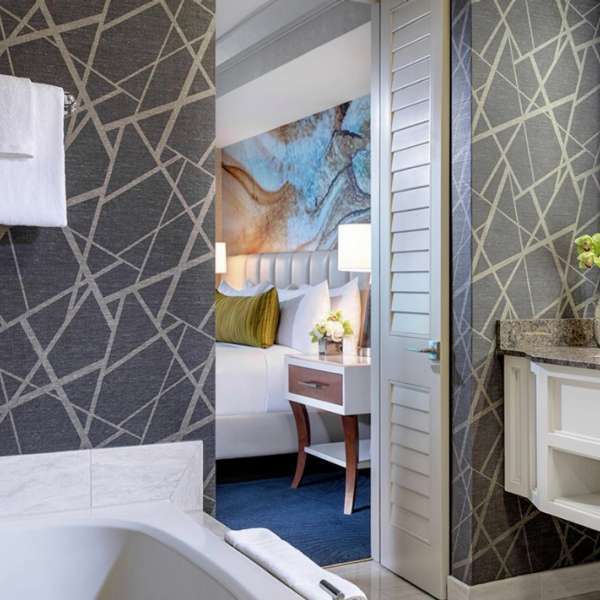 The Elite King Suite offers 683 sq. 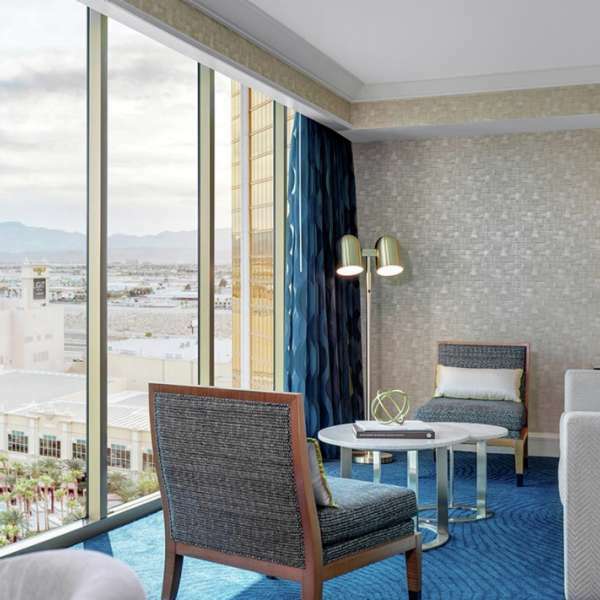 ft. of deep blues accented with stylish furnishings for an immersive experience in relaxation. 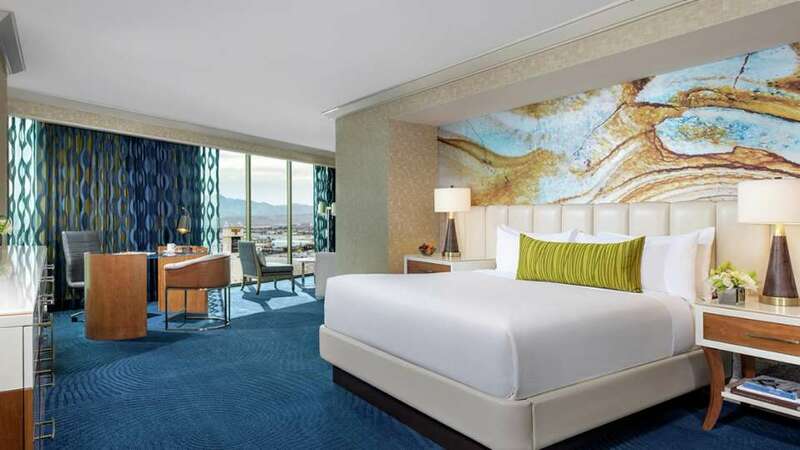 Soak in every angle of Las Vegas from more than 50 floors up with a 180-degree view in our contemporary Horizon Suite.